This month we are testing the Cisco Extension Mobility client ALM in combination with the recently introduced Windows 8 Operating System. 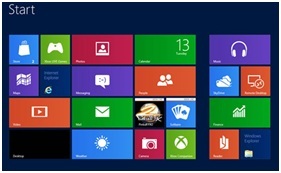 The way Windows 8 looks is a little bit different than previous Operating Systems from Microsoft, but ALM continues to work without any adjustments. There is no change required in the way ALM works or on how it is configured within the network, only the installation needs to be run in the “old” Windows 7 compatibility mode. Please read the FAQ for additional information or contact support@rsconnect.net for additional information or support.